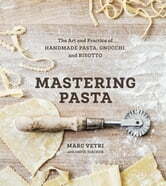 Award-winning chef Marc Vetri wanted to write his first book about pasta. Instead, he wrote two other acclaimed cookbooks and continued researching pasta for ten more years. Now, the respected master of Italian cuisine finally shares his vast knowledge of pasta, gnocchi, and risotto in this inspiring, informative primer featuring expert tips and techniques, and more than 100 recipes. Vetri’s personal stories of travel and culinary discovery in Italy appear alongside his easy-to-follow, detailed explanations of how to make and enjoy fresh handmade pasta. Whether you’re a home cook or a professional, you’ll learn how to make more than thirty different types of pasta dough, from versatile egg yolk dough, to extruded semolina dough, to a variety of flavored pastas—and form them into shapes both familiar and unique. In dishes ranging from classic to innovative, Vetri shares his coveted recipes for stuffed pastas, baked pastas, and pasta sauces. He also shows you how to make light-as-air gnocchi and the perfect dish of risotto. Loaded with useful information, including the best way to cook and sauce pasta, suggestions for substituting pasta shapes, and advance preparation and storage notes, Mastering Pasta offers you all of the wisdom of a pro. 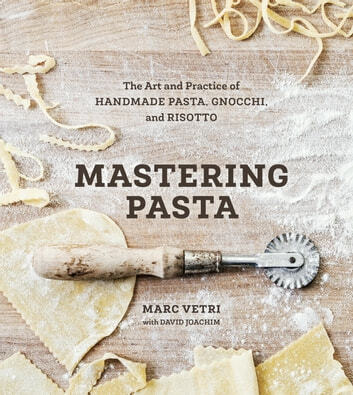 For cooks who want to take their knowledge to the next level, Vetri delves deep into the science of various types of flour to explain pasta’s uniquely satisfying texture and how to craft the very best pasta by hand or with a machine. Mastering Pasta is the definitive work on the subject and the only book you will ever need to serve outstanding pasta dishes in your own kitchen.